Seagrave Group Realty has been buying, selling and renting homes and commercial real estate properties in South Florida since 2002. With long standing affiliations to multiple Realtor® Associations, owner Daniel Seagrave holds himself and his Agents to a higher standard of service. We proudly display National Realtors Association Code of Ethics on our website and in our interactions with clients from all walks of life. At Seagrave Group Realty, a large share of our business comes to us from referrals because our work is literally speaking for itself. From "property pros" to "real estate virgins", we tend to everyone's needs with all the care in the world. Trust Seagrave Group Realty with your real estate business and let us be the first to tell you "Welcome Home". Daniel Seagrave, born in Buffalo, New York before settling in Fort Lauderdale, Florida. 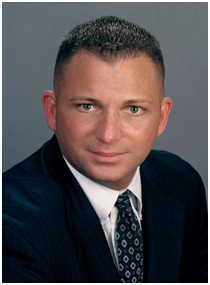 Dan finds his background a great asset when working a diverse and cosmopolitan Clientele who purchase Real Estate in The Greater Fort Lauderdale Florida Area. Dan takes great pleasure in participating in community and charitable events. Dan is well-informed about the Real Estate marketplace and the particular requirements of his clients. Always looking for new ideas and ways to improve his business, Daniel has formed the Daniel Seagrave Group, a team of professionals who work together as one, to give his clients the highest level of service available in Real Estate today. The group specializes in The Greater Fort Lauderdale Area and has over 20 years of combined experience in real estate. Each aspect of your Real Estate transaction is handled professionally and efficiently. A satisfied client is our best advertisement. The Daniel Seagrave Group is a team of professionals dedicated to making your real estate dream come true! From Luxury Town homes to sophisticated waterfront mansions and palatial estates, they offer the very best properties in South Florida. With their long experience, knowledge of the business, and excellent reputation they will give you the service you deserve and the results you expect. Looking to buy or sell a home? We would love the opportunity to meet with you and discuss your real estate needs. If leasing is your option, feel free to contact us to find out how we can help. Call today or send an e-mail. We are waiting to hear from you! The real estate network that has the most competitive advantages to offer both home buyers and sellers will be an industry leader, and SEAGRAVE GROUP REALTY is that network. When you look for the highest quality real estate service, look to a SEAGRAVE GROUP REALTY Associate. Here's why SEAGRAVE GROUP REALTY Associates are "The Real Estate Leaders"®. On average, a SEAGRAVE GROUP REALTY Associate spends about $5,000 each year on personal promotion and on individual and group advertising. Personal advertising plus Internet exposure generates the highest number of prospects in the industry. Being locally owned and operated, SEAGRAVE GROUP REALTY offices are staffed with professionals who live in the area they work in. Thus, committed to their local community, they have a deep personal interest in the customers they serve.